​Senior figures at Cardiff City are fearing that current manager Neil Warnock is close to leaving the club in the wake of the disappearance Emiliano Sala. The Bluebirds had agreed a £15m transfer fee with Ligue 1 side Nantes over the signing of Sala, however the flight containing both the striker and pilot David Ibbotson disappeared over the English Channel as they planned to return to the Welsh capital on January 21. While Gurnsey Police were unable to discover the location of the plane, a ​privately-funded search for the aircraft discovered the plane over the weekend, before the ​Air Accidents Investigation Branch (AAIB) confirmed​ that a body, that is still yet to be identified, has been found in the wreckage a day later. 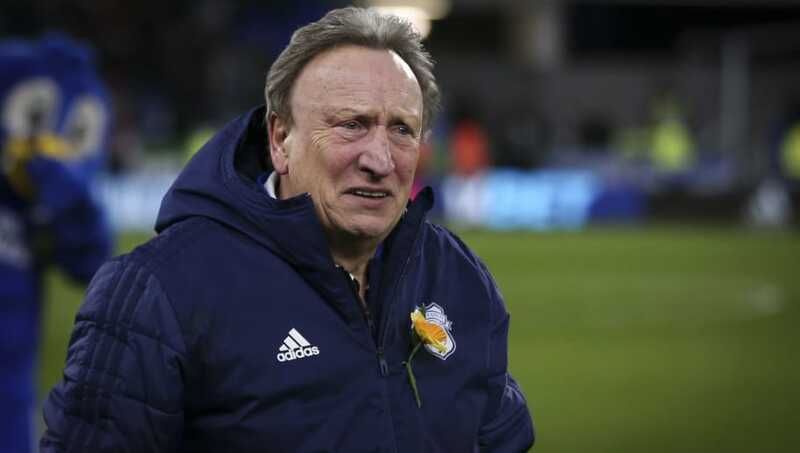 Despite attempting to cope following the ordeal, ​The Sun are reporting that Warnock, who was visibly emotional following his side's 2-0 win over Bournemouth at the weekend, is considering his position at the club after a difficult few weeks for everyone connected with ​Cardiff. Warnock's side are currently 18th in the ​Premier League following their sixth league win of the season, and while the departure of the former Sheffield United manager would undoubtedly be a blow to the club's survival hopes, it would be understandable considering the events that have transpired. Speaking after the victory over the Cherries, Warnock spoke of his delight for his team's performance, stating that it was a display that Sala would've been 'proud' of. He said: "The last 10 days or so, I can't begin to explain how difficult it's been. Knowing the lad, Emiliano as I did, I knew he'd have been really with us today. "It was strange. I was alright until I got across to the far side. Some of [those fans] usually go home earlyish, but it seems everybody stayed - and the noise volume was...it just got higher and higher. "It was as if we had to show everybody our support for him, really. Coming back to the main stand to see my wife and my kids, it just hit home that we'd done him proud today."